Dr. Seuss is best known for his allegorical children’s books on themes like protecting the environment, shunning materialism, and embracing multiculturalism. But before books like Green Eggs and Ham, Seuss also worked on commercial art for a pesticide company. 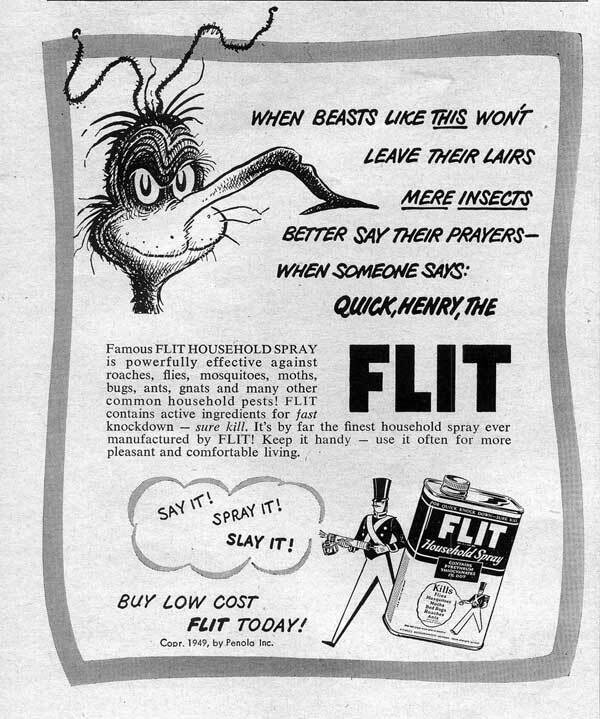 In particular, Seuss helped to make Flit, and the Flit gun, a household word in the “war on bugs.” Back when Theodor Seuss Geisel was a young cartoonist, Standard Oil, a major player in the petroleum industry that had branched out into making bug spray, noticed that he’d used their Flit spray guns in several illustrations. Standard decided to hire Seuss to make funny cartoon advertisements, which appeared in national magazines and newspapers. Voila! America became friendly with poisons – We could laugh at ourselves while we went about poisoning things. In the process, the public grew comfortable with the myth that pesticides were safe and necessary. Flit contained 5% DDT in the late 1940s and early 1950s, before the negative environmental impact of DDT was widely understood. 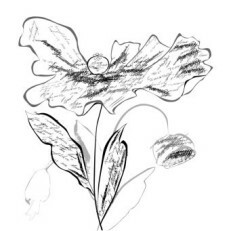 Today, the Flit brand name has been reused for another insecticide product, with the primary active ingredient of permethrin (in the synthetic pyrethroid family), widely used on cotton, wheat, corn, alfalfa, and other crops. In addition, over 100 million applications are made annually in and around U.S. homes.